Here's a early Christmas deal from global smartphone brand VIVO! They are making sure its loyal patrons going to get a steal. It has dropped the price of its Vivo Y81i to just Php6,999 from the original price of Php7,999. Steal one of this Christmas season’s best deals! 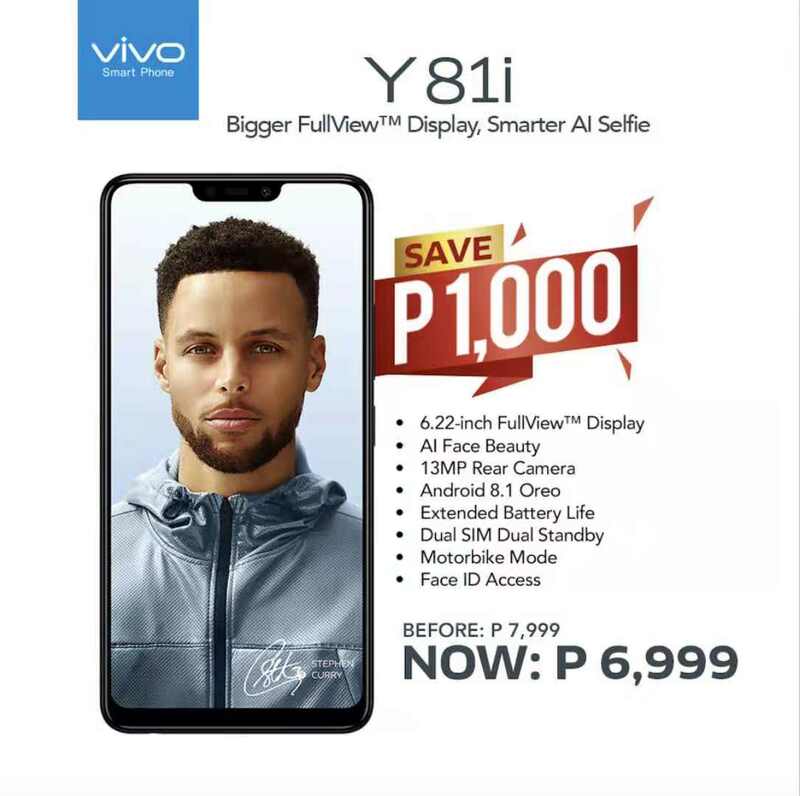 The Vivo Y81i can be all yours for Php1,000 lower than its original price. Vivo released the Y81i in the Philippines mid-2018. It is a trendy, notch-bearing smartphone that gives users 6.22-inch FullView™ Display. Just like its predecessors, it has the smartphone maker’s thumbprint specs. It has a 13-megapixel rear camera and a 5MP selfie camera equipped with the AI Face Beauty that produces natural-looking shots. The Vivo Y81i also comes with FaceUnlock feature to give users an additional layer of convenience security. This smartphone also offers smoother performance with its 2GB RAM and 16GB internal storage, running with MediaTek MT6761 processor and Funtouch OS 4.0 (Android 8.1 Oreo). Vivo Y81i delivers extended battery life and other innovative features like the dual SIM standby and the Motorbike Mode. Get to know more about this incredible smartphone at all Vivo stores nationwide.